Finding & buying your perfect home can be a dream come true. There is something special about walking up to the front door on moving day, sliding in your key & knowing it’s yours! I take the time to learn what you really want in a home. I look at your needs & wants, and help you determine the budget within which you should shop. Then I show you properties that meet that criteria – including new listings the moment they come on the market. As your agent, I look out for you & what’s best for you. I provide you with in-depth property details of each home that appeals to you, point out desirable features you may not notice & identify potential concerns you may have overlooked. I’m by your side every step of the way. When you find a home you want, I’ll prepare & present the offer, draft it skillfully to protect YOU and negotiate effectively on your behalf, so you get that property at the lowest price possible. I manage the entire transaction, including your financing, your appraisal, your home inspection, pre closing visits… all of it. You will have access to my vetted team of financing magicians! Financing the perfect house is not the same for everyone. I have an incredible team that I work closely with. Do you have a tricky situation? They love a challenge! The best place to start the process is to meet with me for a quick coffee chat. We can discuss the home buying process, the current market conditions & what needs to be done first. This also gives us an opportunity to see if we are a good fit. 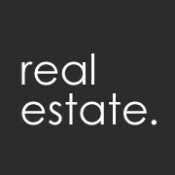 Finding a realtor that you are comfortable with & have confidence in, IS imperative to YOUR success! This is likely the biggest investment you will make. Just makes sense that we have a conversation first.